EVGA has quietly followed Sapphire’s steps by releasing the GeForce GTX 680 Mac Edition graphics card – a 3D monster that can be used to upgrade any Mac Pro high-end desktop computer. The EVGA GeForce GTX 680 Mac Edition is based on the same GK104 core found in other GTX 680 cards and therefore the new EVGA product offers 1536 stream processors, 128 texture units, 32 raster operating units and a 256-bit memory bus. The GK104 processor runs at 1006 MHz (1058 MHz in Turbo Mode) whereas the on-board 2 GB of GDDR5 memory runs at full 6008 MHz. As expected from such a card the EVGA GeForce GTX 680 Mac Edition fully supports DirectX 11.1, OpenGL 4.2, OpenCL 1.2, PhysX, PCI-Express 3.0, 4-way multi-GPU and other NVIDIA technologies. 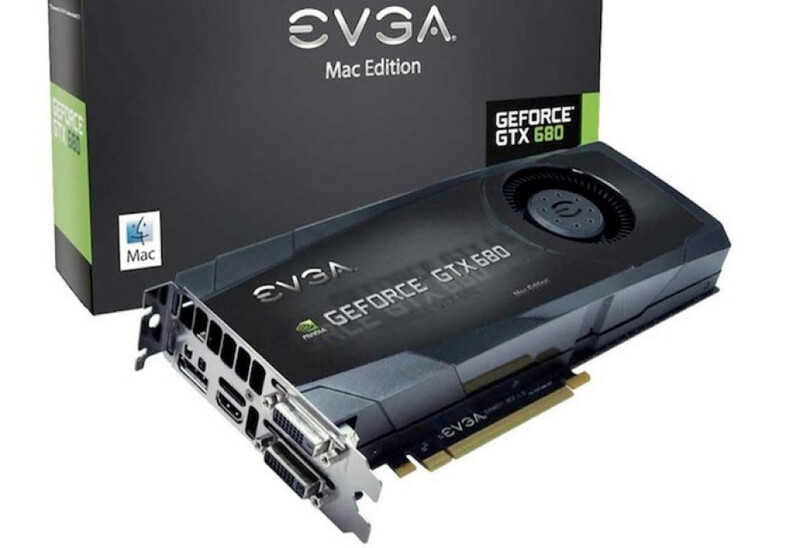 Due to the specific hardware and software used in Mac Pro computers the EVGA GeForce GTX 680 Mac Edition will come with a modified BIOS that allows the card to run on such machines. Unfortunately for Mac Pro owners the video card will be more expensive compared to regular GTX 680 cards – it sells for USD 599.